Imagine watching a very lengthy film with no animation, no effects, and no appeal. Does this look good? This seems to be boring because you would have to bear watching it until it is finished. Video effects editor was made so that different enhancements and effects may be incorporated in movies. These programs will help you achieve the look, transition, and effects that you would like to see in your video clips. There are many video editing programs available that are capable of giving good quality effects to users. You may put effects like rotating, flipping and more. Also, you may enhance the color of the video if you wish to. Below are the best tools which you can actually use to add effects on your video. Video Grabber is an application that can be used to download movies from most video-sharing sites for free. It supports a handful of video sharing sites such as YouTube, Vimeo, and Facebook. Moreover, in making use of video effects software free, this tool is a thumbs-up for you! It can function as an online video editor that allows you to edit videos in an instant. Its editor is very much user-friendly because of its simple interface and menus. It allows you to trim or cut the unnecessary clips in the video easily. 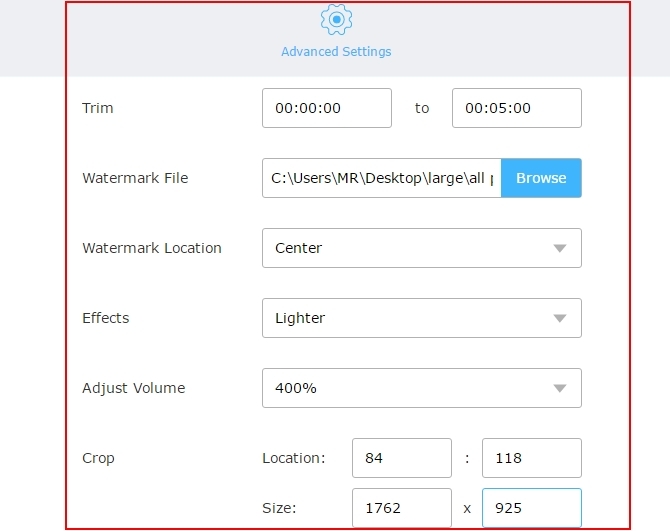 It also allows you to add your watermark, effects or filters to the video. Effects include the different colors which may enhance the video. If the audio in the file is too soft, you may adjust its volume by different percentages. 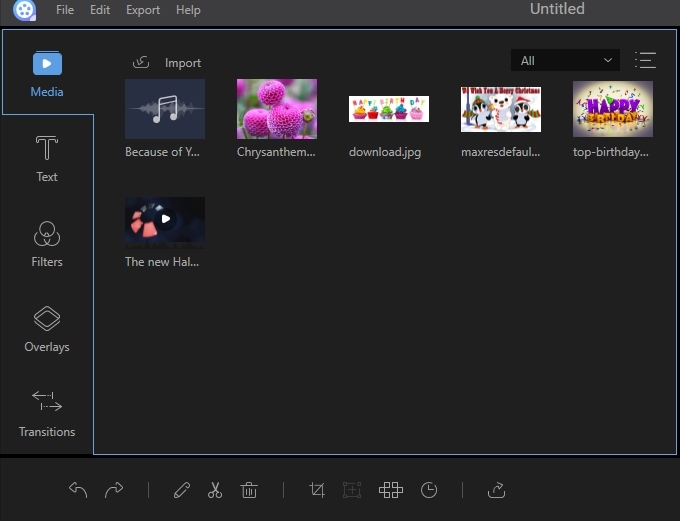 This tool can download and edit videos instantly. It may also be helpful in recording your screen for no charge, and lets you convert your files to the format you prefer. This tool needs internet connectivity, so if you do not have web access, you cannot use it. It can only fulfill your basic requirements for editing videos. Next on the list of software for video editing with special effects is ApowerEdit. It can help you add effects, subtitle and allows you to trim, crop, flip video and so on. However, if you are in a haste of editing your videos, this software would undoubtedly be your first solution as it has the streamlined and modern interface. 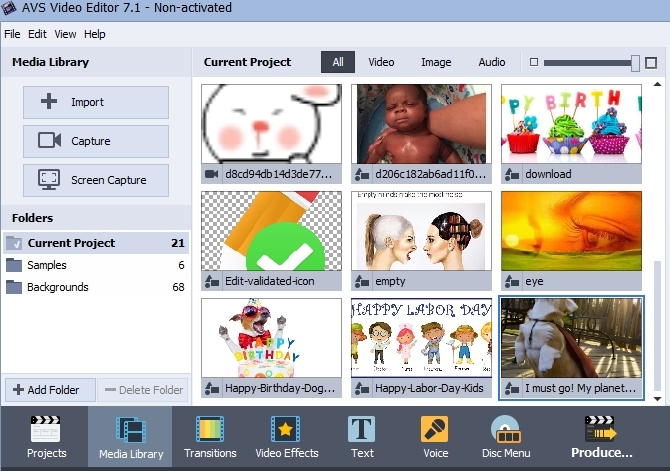 The tool provides a library of texts, filters, transitions and overlays that you may add to your artistic videos. To ignite your creativity in making a splendid video, you can combine various medias including video, picture, music and text to your movie via this tool. Moreover, before outputting your file, you can preview any small clips or the added effects frame by frame in full screen via it. It lets you edit videos precisely because it has timelines that lets you trim or split clips. It has a large collection of effects, filters, texts, and transitions. It supports outputting as many kinds of video or audio formats. This software may make your computer run a little slow after launching it. Another good video effects editor is AVS Video Editor. This editor may also be used if you would like your videos to come up professionally. In addition, this editor comes up with a variety of transitions and effects. You may also insert animated texts with different fonts, balloons, dialogue boxes if you wish to. This editor will help you correct the color of your video. Likewise, you may adjust its brightness, temperature, and contrast with the help of this tool. The transitions from this editor are already common. In the same manner, the texts that can be inserted into your videos are not artistically made. They are just animated texts, balloons or dialogue boxes, and colored texts with different fonts. This editor also lacks filters that you can add to your clips. It is limited to auto color correcting your video or adjusting brightness, temperature, contrast, and the like. The tool is easy to use because it offers tutorial on how you could use it to its full extent. It can convert almost all of the video formats. The quality of your exported videos is compromised because the quality becomes pixelated, so you would have to make a lot of revisions before you can be satisfied with the quality you want. It is for purchase, so you could just maximize its use when you buy its full version. It is important to consider choosing the most suitable Video effects editor because the tool will help you release your creativity. As such, Video Grabber is highly recommended because it is free so you get to enjoy editing without worrying of the days left before it expires. ApowerEdit is easy to use because it is user-friendly. The best thing about the software is it is an all-in-one professional tool for editing. While AVS video editor is a little inferior compared to video editor because of its limited editing effects. Rating: 4.8 / 5 (based on 28 ratings) Thanks for your rating!